Thank you for taking the time to learn more about our in-service education programs.We are happy to offer our complementary program to help members of your practice develop a better understanding of the care that we provide. 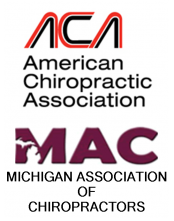 Our goal is to bridge the gap by meeting with community medical practitioners providing information about chiropractic care protocols and integrative care – efforts that can best benefit the patients we serve. As you may realize back pain, neck pain, headache and related disorders are increasingly common. Such trends present unique challenges for patients, employees, employers, insurance providers and health professionals alike. To assist you and members of your staff we have developed a presentation designed to help those who are interested in learning about spine pain prevention and our treatment approach. Facts and misconceptions about chiropractic care. Causes of spine related pain. Tips for reducing risk factors for back pain, neck pain, headache and related conditions. Indications and contraindications for chiropractic care. Posture, body mechanics, office ergonomics. Chiropractic training, scope of practice and treatment approach. Which patients should be considered for chiropractic care? How much care is necessary for a patient to improve with chiropractic treatment? Why is there such variation in treatment among chiropractors?